La Pomponnée began helping brides and their bridal parties look gorgeous 25 years ago…before the actual salon was even built. We continuously train to bring our brides the most beautiful looks in hair and makeup…from trendy to classic. We’ve worked backstage at Fashion Week and Bridal Fashion Week in NYC. We’ve done hair and makeup for fashion photographers all over Pittsburgh, and understand the need for perfection. We offer our services at both salons and “On site” at the location of your choice. We also have a “Destination Bridal Team” for out of town weddings. Following the initial, complimentary consultation, we will schedule the trial run as well as reserve your wedding day appointments. We will also assist the bride in coordinating all of her beauty appointments before the wedding. To set up appointments for your wedding needs, please call the Mt. Lebanon salon at 412-563-3990, and ask for our Bridal Coordinator. La Pomponnée’s trained and licensed hairdressers and makeup artists are available at both Mt. Lebanon and McMurray salons. We are also able to come to your home, your hotel, or global destination! Hair extensions are available for an extra cost and come in halos, clips, tape-ins, pony-tails – 100% human or synthetic. Want to change your hair after your ceremony, or have makeup touch ups before the reception? Photos happen all night long. We are happy to stay and assist you and your party with any beauty needs during the wedding day. Wear a button down top or robe. Unless you are requesting a blowout, please have hair freshly shampooed and dry, with no product added. Please provide the exact address or directions to your location. Please feel free to bring pictures to communicate your ideas. We are happy to recreate, as well as custom design a bridal look for you and your party. Bridesmaids are also encouraged to bring photos of hair and makeup looks they like. We are also on the Knot. 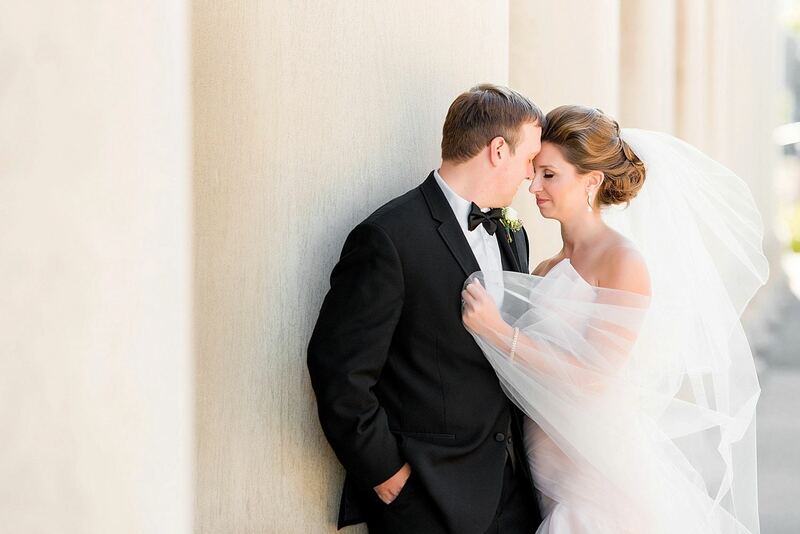 www.theknot.com We appreciate your review! *Our gift- Each bride receives a touch up kit that includes pressed powder and the lip color they use, a travel shampoo and conditioner for their honeymoon. Final payment for all services is due at least one week prior to their wedding day. An 18% service charge will be added to the service total. Locations in the tri-state area include a 50 mile radius from our Mt. Lebanon location. Locations beyond the 50 mi. radius will be charged $1. per mile…round trip. Locations that require air travel will include an additional fee for airfare/hotel for 1-2 nights. Our Beauté Mobile is ready to roll! For more details and pricing, visit our Beauté Mobile page. We love all our brides and bridesmaids and try to show off the artistry we create for them. We use the hashtag #lapomponneebride when posting on Instagram and we invite all our bridal parties to do the same! We hope you find inspiration in our gallery. 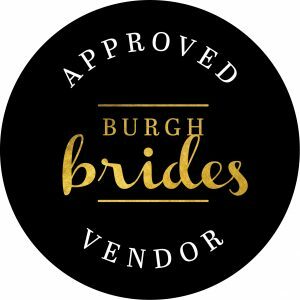 We’re proud to be a member of Burgh Brides!